Figure 1. Circling in on exome data. 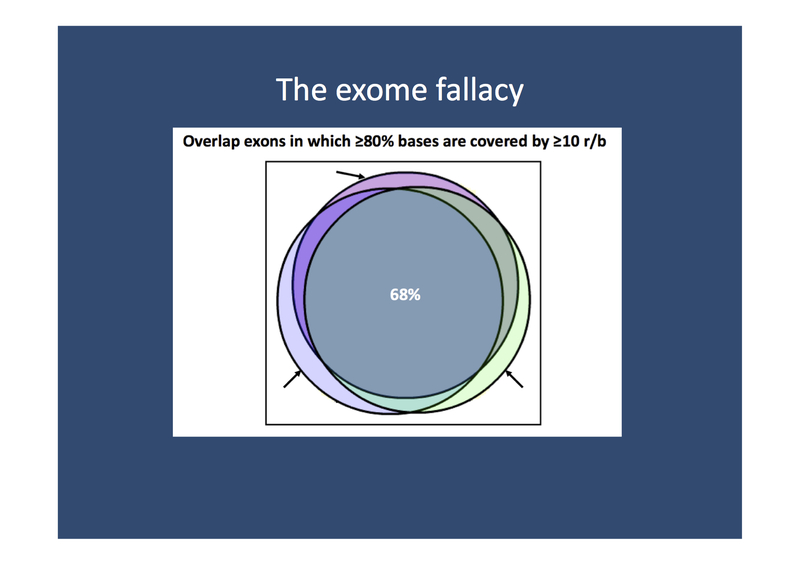 When comparing the coverage of exons in a particular region across three individuals, the percentage of base pairs with sufficient quality in all three patients is merely 68%.